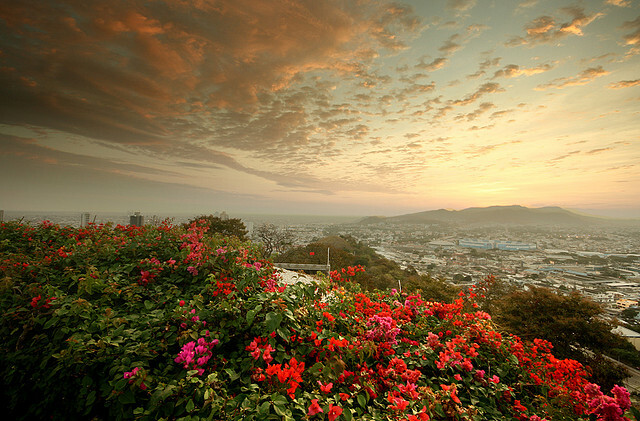 2 Responses to "Copa – $355: New York – Guayaquil, Ecuador. Roundtrip, including all Taxes"
Spent a number of hours this morning and now about 5 hours later trying to do this. January availability on ITA does not show on Priceline. October does but when I go to book and put in passenger info I get “Whoops search again”. Seems almost like a bait and switch. 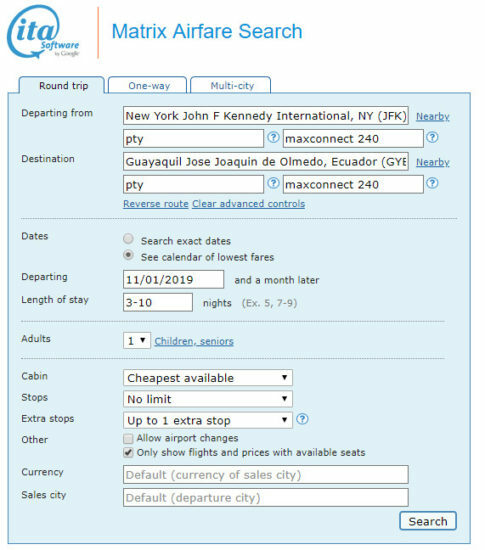 And unless you tweak it, Priceline comes up with flights that disagree with ITA including connections that depart prior to scheduled arrival. And they will not take phone calls. ITA continues to show availability. Go thru booking process on Priceline and get “Whoops”. What’s going on? Priceline apparently won’t take calls unless you already have a reservation. 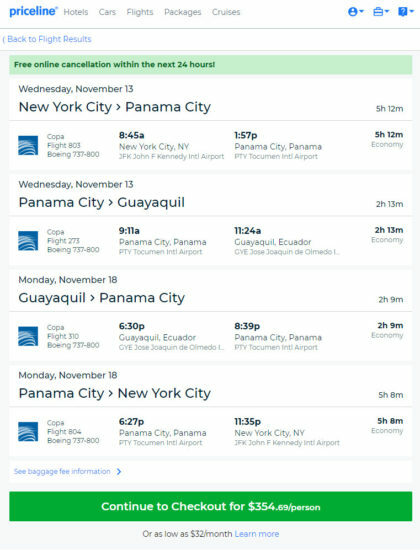 It defaults to an itinerary showing a connecting flight leaving PTY prior to arrival. Priceline calendar apparently won’t let you go to earlier months on second leg. I would appreciate help getting this done if the booking can still be made. Out of curiosity, is ITA data up to date if flight search is updated? DYK if bookings on this deal are being made? So far has been a big waste of time here.